I was browsing Facebook the other day and happened upon a post where one of my “friends” (the term friend being used rather loosely here, but hey, we’re all friends on Facebook, aren’t we? ), who had been cutting in preparation for a body fitness competition, was showing pictures of their daily meals. Three of those meals (for the same day, might I add) consisted of plain white rice, canned tuna fish served straight out of the can (you could still see the shape of the can, it had just been dropped there like a hockey puck) and a handful of [visibly] canned green beans. The whole thing appeared to be cold and totally unappetizing. The first thing that came to mind when I saw that picture was: “if that’s the kind of sacrifices that one must make in order to stand a chance in a fitness competition, then I don’t ever want to enter one”. But then I started to wonder… is that how one is supposed to feed if they are wanting to get really shredded? Is that how I should be eating if I was hoping to get below 20% body fat? Please tell me that it isn’t so. 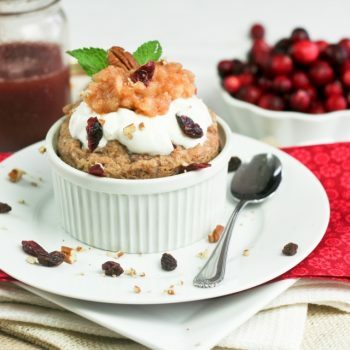 Surely there has to be a way to keep food tasty and delicious while cutting way back on calories. I kept the rice completely white, just as it was in the original dish, (if we could call it that!) 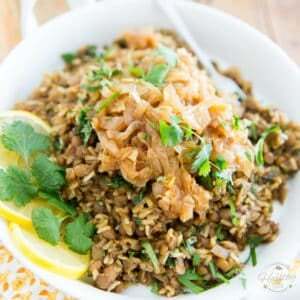 but chose to replace the canned tuna with some quick cooking seafood, i.e. squid rings and shrimp, and traded the canned green beans for a few fresh, crunchy and vibrantly colored vegetables, namely snow peas and red bell peppers. Oh, and I added onions, garlic and a little bit of seasonings, for flavor! 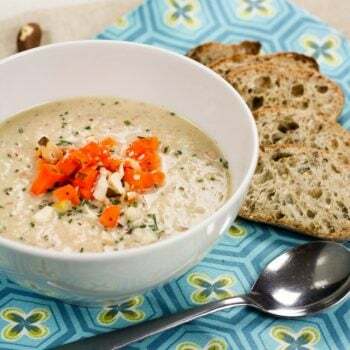 The fat content of this dish was kept fairly low, to go right along with any serious cutting efforts, while ample amounts of carbs and protein were supplied to support the body’s need for energy and efficient muscle repair. I think that all in all, this dish was a great success! 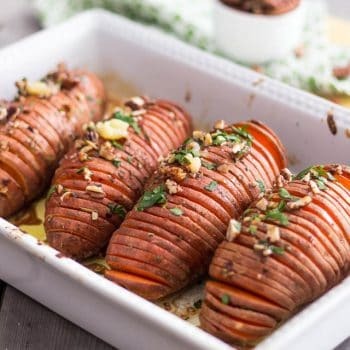 Not only will it fit perfectly into any cutting diet’s macro requirements and would it make for a perfect post-workout meal, but it’s also very tasty, super nutritious, and not to mention especially pleasing to the eye. I don’t know about you, but even when trying to lose weight, I still eat with my eyes first! 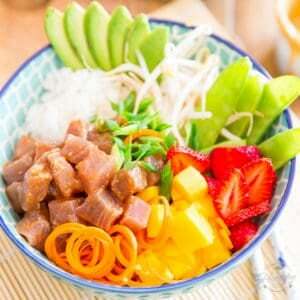 This dish can also conveniently be carried in plastic containers and reheated in the microwave, if desired. If time didn’t allow for that, or if said dish was to be consumed while sitting on a bench immediately following one’s final rep, I suppose that it could even be enjoyed cold! 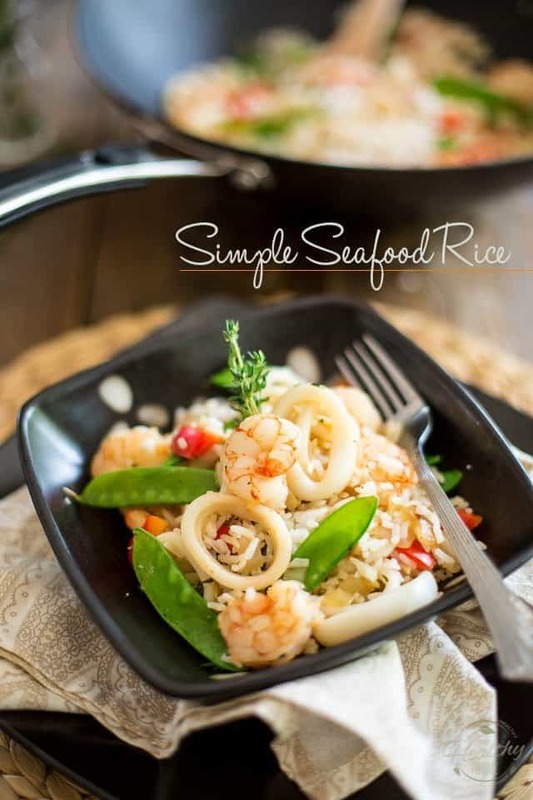 All joking aside, though, I think this Simple Seafood Rice recipe is a true winner, one that I will definitely be adding to my regular rotation, even after I’m done cutting. 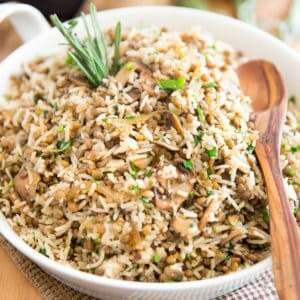 To make this dish, you want to start by cooking the rice, using your favorite method and following to the instructions on your package. While that’s happening, place the raw squid (aka calamari) rings and shrimp in a colander or fine mesh sieve to drain. 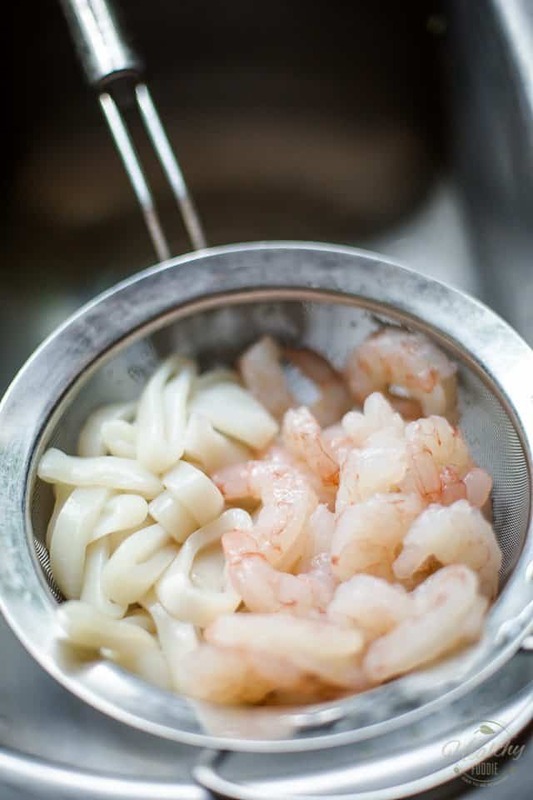 You can use basically any variety of shrimp you want; just make sure that they are a decent size and that they have been properly shelled and cleaned. I chose to use wild-caught Alaskan Pink Shrimp, because they are one of my favorite varieties of shrimp. I find them to be particularly tasty, but not only that: they also happen to be extremely pretty, even in their raw state. I like to eat with my eyes, remember? 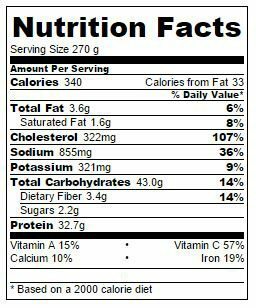 As a side note, you could very well use thawed seafood here, there are absolutely no contraindications against that! Just make sure you drain it really well. 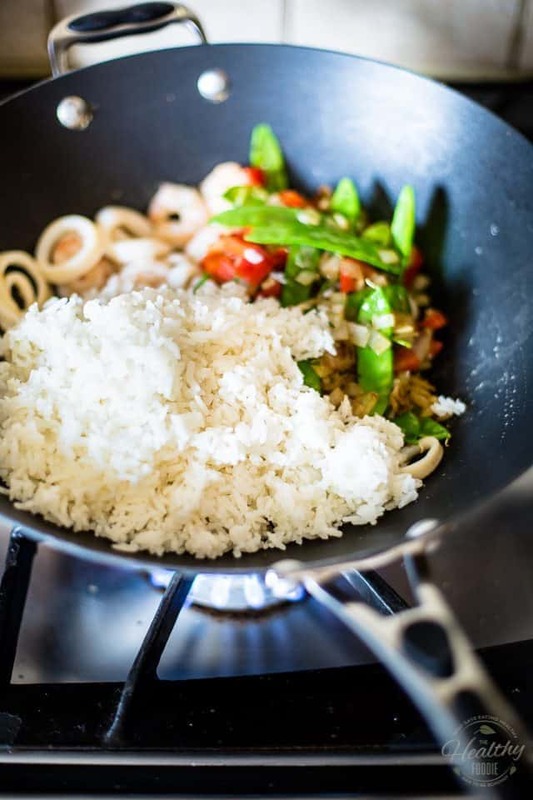 Alright, so when your rice is fully cooked, and maybe even had a little bit of time to rest and cool, melt some ghee in a wok or large skillet set over medium-high heat. Add the chopped onion, salt and pepper and sauté until the onion is golden, slightly softened and fragrant, about 2 to 3 minutes. Next, add the red bell pepper, snow peas, garlic and fresh thyme and resume sautéing for about 30 seconds, then remove your veggies to a plate. 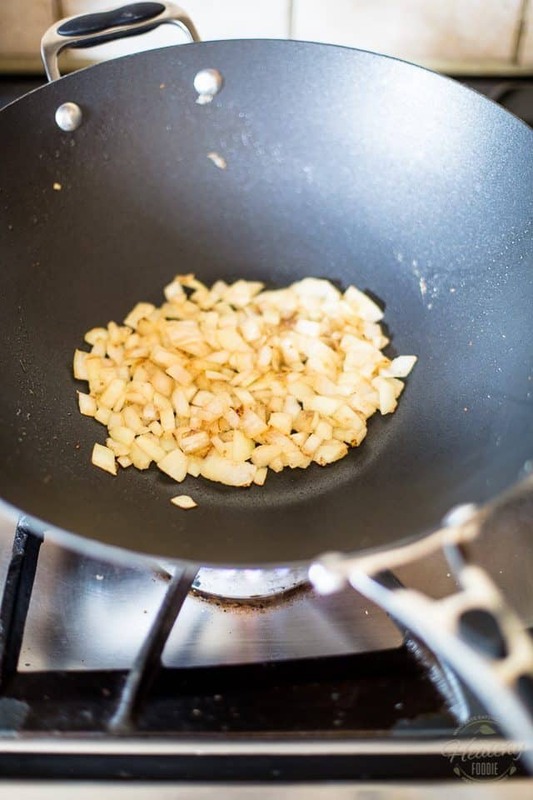 Place the wok back over the heat source and crank up the heat to high. 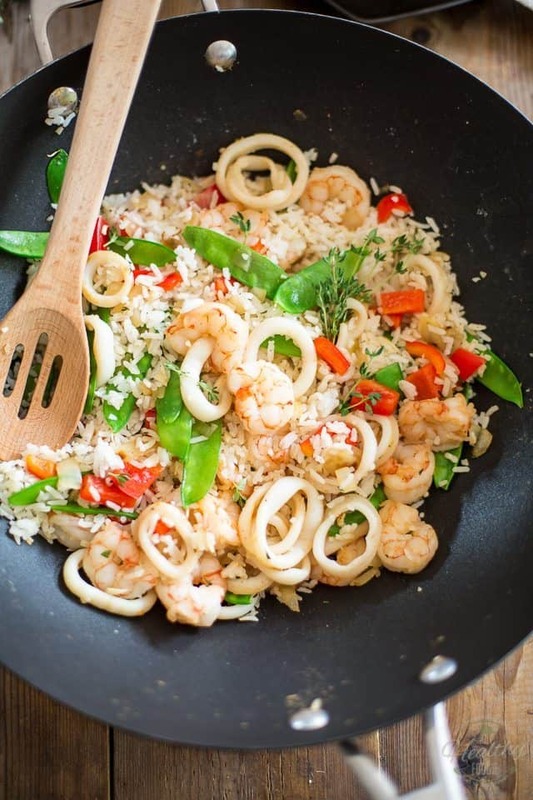 Melt a little bit more ghee and, when the skillet is super hot, add the shrimp and squid rings to the wok. 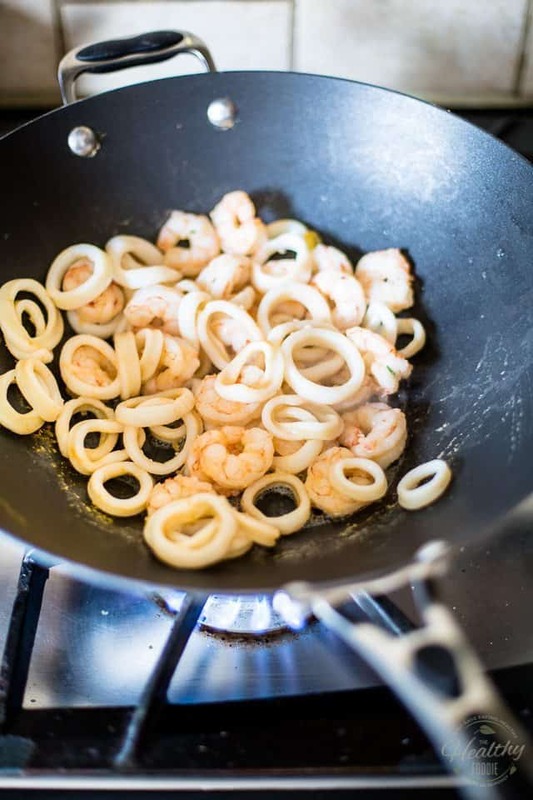 Cook, sautéing almost constantly, until the seafood turns opaque and the calamari rings start to “curl”, about 3 to 4 minutes. 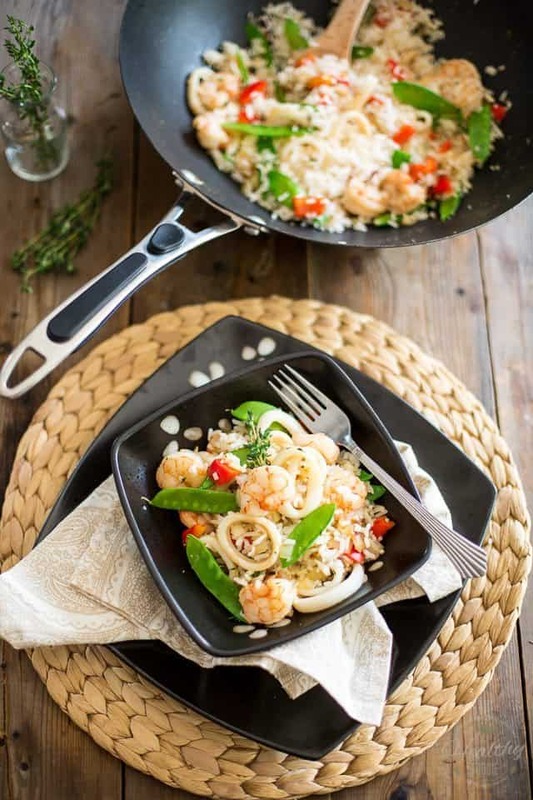 If you find your seafood releases too much liquid, causing it to boil as opposed to brown, simply remove the excess liquid and then resume sautéeing. Whatever you do, do not overcook your seafood; it would render it tough and rubbery, especially the squid. As soon as it turns opaque, it’s done! 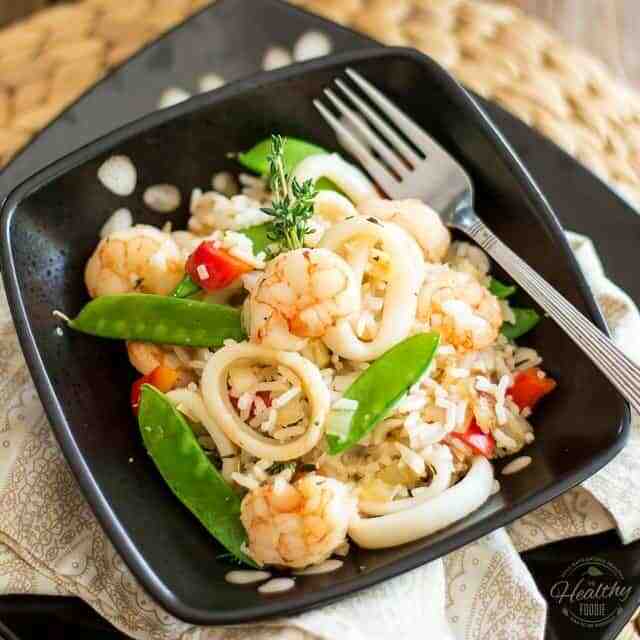 As soon as the seafood is cooked, return the reserved veggies to the wok; add the cooked rice and stir delicately until all the ingredients are well combined. Again, don’t overdo things. Everything is already cooked, so you just want to mix all the different components together. There! Doesn’t that look delicious? Kidding! Just enjoy the food, wherever, however or whenever is convenient for you! But most of all, enjoy the food! Cook the rice according to instructions on package and while that's happening, place the squid rings and shrimp in a colander or fine mesh sieve to drain. 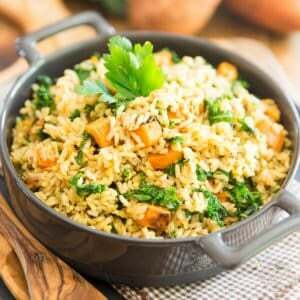 When the rice is fully cooked, melt half the ghee in a wok or large skillet set over medium-high heat; add the onion, salt and pepper and sauté until golden, slightly softened and fragrant, about 2 to 3 minutes. 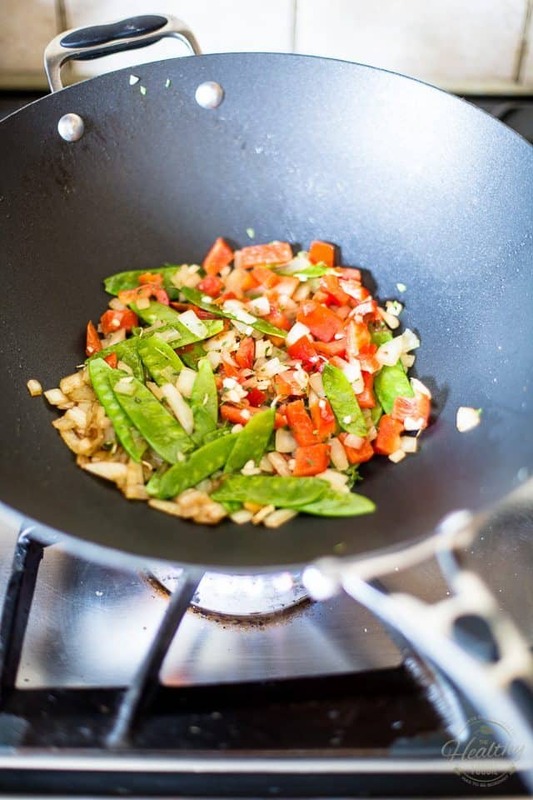 Add the red bell pepper, snow peas, garlic and fresh thyme and sauté for about 30 seconds; remove to a plate. Place the wok back over the heat source and crank up heat to high. 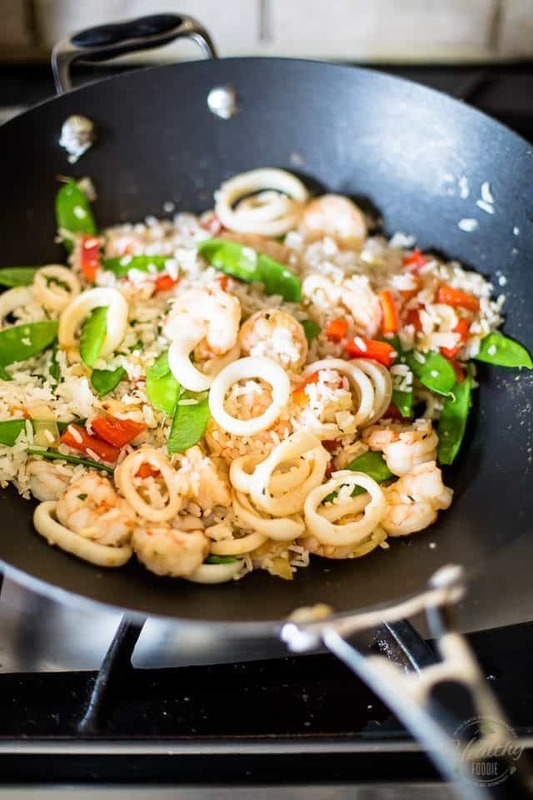 Melt the rest of the ghee and when the skillet is super hot, add the shrimp and squid rings. 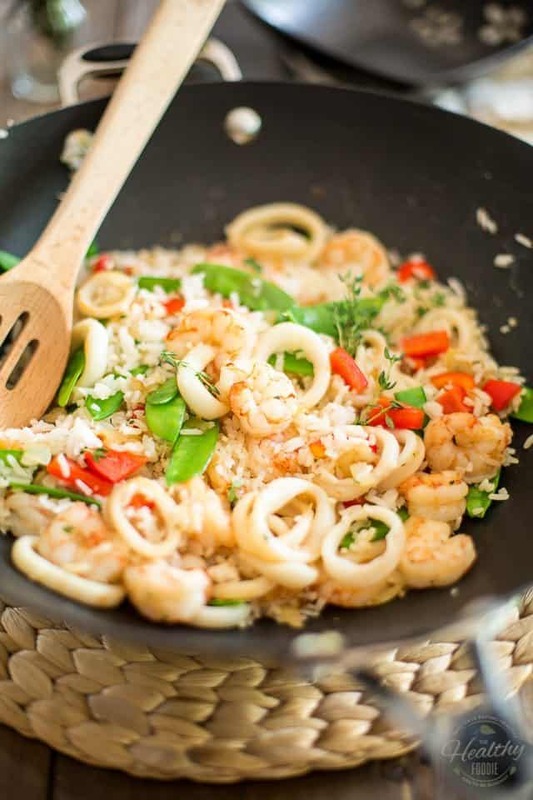 Cook, sautéing almost constantly, until the seafood turns opaque and the squid rings start to "curl", about 3 to 4 minutes. If the seafood releases too much liquid, causing it to boil as opposed to brown, simply remove the excess liquid and resume sautéeing. 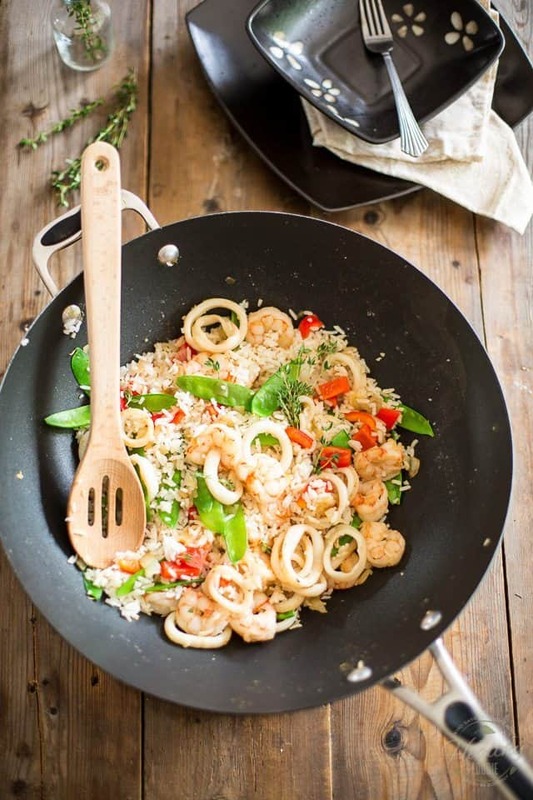 When the seafood is fully cooked, return the reserved veggies to the wok, add the cooked rice and stir delicately until well combined.